In July 2018, MOTIONrehab Hull not only grew but underwent a complete refurb. The recently refurbished clinic in Hull is based at Warners Health Club & Physio expanded to include a brand new gym and four new treatment rooms. 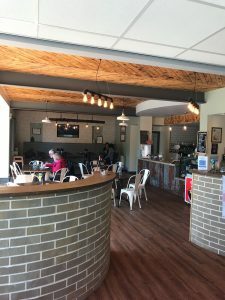 If you are coming along for an appointment why not pop along to The Peloton Cafe. The cafe serves wide variety of both hot and cold drinks as well as a variety of snacks, cakes and food items.